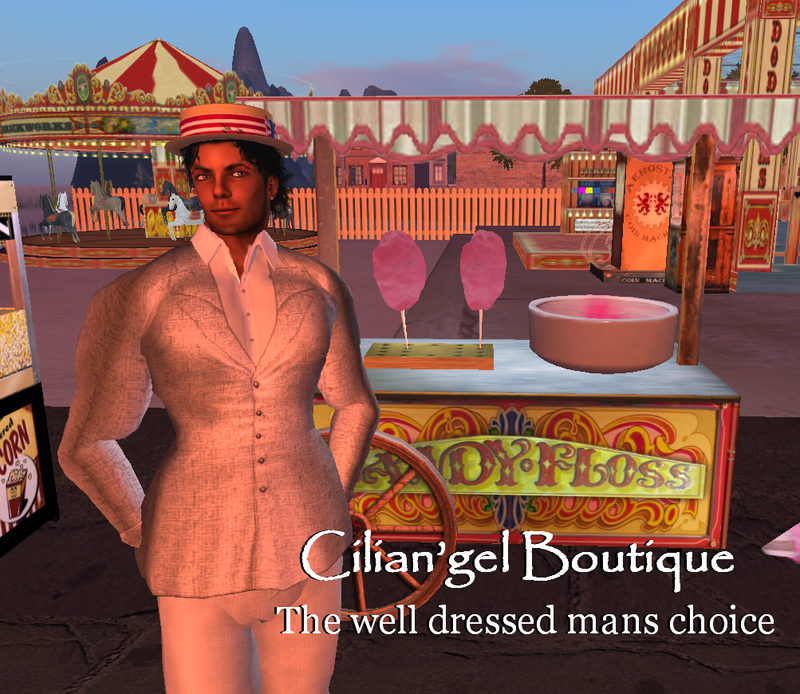 Cilian'gel Boutique has a new line of 1920's wear for men and women. Shep and I are wearing the "Got Cash or Check" set. The dress includes hat and hand bag.